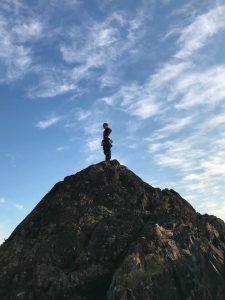 Part 1 was about my eldest child, River, who took a non-traditional path in school by choosing to do courses outside of the normal bricks and mortar school. River was cross-enrolled since his grade 8 year. Cross-enrollment means that a student is enrolled in more than one school, typically this may look like a traditional bricks and mortar school combined with online courses. These additional course choices and the methods in which he took them, helped form his choices as to what he wanted to do after high school. Part 1 explained how you could turn your child’s interests, while in high school, into actual school credits through a course called: Independent Directed Studies. If you’d like to learn more, read it here. Part 2 was about my middle child, Geneviève, who is taking a very traditional path in school which is leading her into choosing a very traditional post-secondary path. This post was more about how to choose a post-secondary school and school program, as well as how to finance it! We talked about our experiences visiting a post-secondary institution. Read more about our journey here. Interestingly, the correlation between River and Geneviève are that they are both following their passions, just in different ways! These two children are the closest in personalities than of any of our other children and yet have completely different viewpoints on traditional schooling. Part 3: Am I Just Supposed To Sit There? Part 3 is going to focus on my youngest son, Marley. Marley is just finishing up his grade 7 school year. 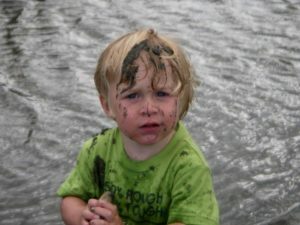 Like his older brother River, he too did not like school. While River decided this in grade two, Marley decided it one year earlier, in grade one! Again, put yourself in my position: a teacher with two children that don’t like school from very early ages! When Marley sat down with his grade one teacher and told her why he didn’t like school, he expressed what a lot of the kids express. He didn’t enjoy the fact that learning went from being super fun in kindergarten and preschool to then having to sit at desks and mainly do worksheets. He missed the movement and hands on learning that was the foundation of preschool and kindergarten. 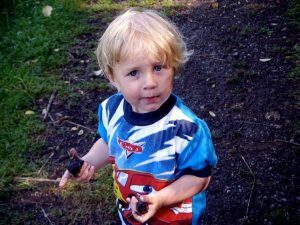 He also identified at that early age, that learning should be fun and not all paper and pencil. Also, that for him, what was he supposed to do once he finished his worksheets, “just sit there”? Marley raises a couple excellent points. Before I go on to highlight my son’s excellent points, I’d like to give huge props to his kindergarten teacher. She was AMAZING! She taught based on what the kids were interested in. In Mar’s year, the kids were really, really, really into beyblades. So, she literally adapted everything she was teaching to beyblades. Marley still talks about this, seven years later. I mean really, how many kids remember kindergarten? Marley doesn’t really remember Mrs. M, but he certainly remembers beyblades and using them in school. Plus, that he was excited about going! The first excellent point that Marley made is that he was beyond grade level in math and reading. When I was teaching, I knew that there would-be a two-year aptitude span on either side of the grade I was teaching. In other words, a teacher teaching grade three, needs to be aware that there are kids from a grade one to grade five aptitude level in front of them. While one child may be at say grade five in math, that same child might be at a grade three level in reading. What this means is that when we put kids in a grade because of their age, which is what the traditional standard school system does, that does not guarantee that is where their capabilities lay. 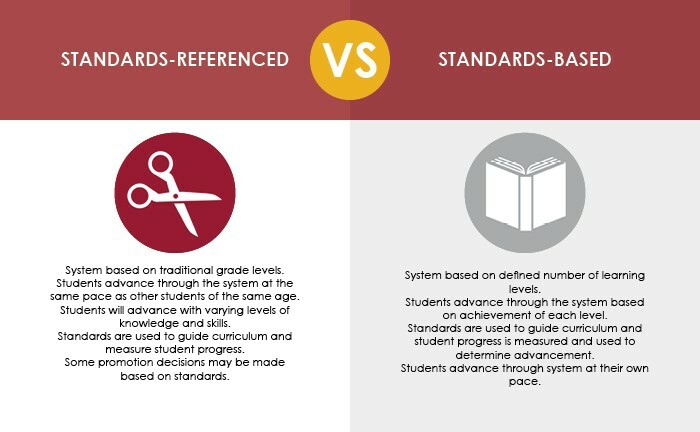 The majority of our schools are standards-referenced as opposed to standards-based (as described in the picture). So, what happens to kids that are above or below aptitude for the grade level that they are in? As a tutoring agency, we exist due to kids not being at their aptitude level for their grade, be it for those who need to catch up or for those that are behind. For those that are falling behind, there is the very real fact that they become those deemed “at risk” youth. Why? Well, imagine yourself having to go somewhere eight hours a day where you feel inadequate. Kids’ confidence is slowly stripped away and anxiety creeps in. Eventually, this combination has a child make choices that may be deemed putting them “at risk”. As highlighted in Part 1 of this series, to combat this aptitude difference, my eldest child took grade 8 and 9 math in grade 8. He was ahead of where his grade level dictated he should be. He was certainly bored and disengaged from school. I would say he was an “at risk” youth, not due to drugs or other choices of that nature, but due to a distinct lack of engagement in school which resulted in attendance being way below the norm. As mentioned, Marley is currently in grade 7. He is taking his grade 8 math online simultaneously. 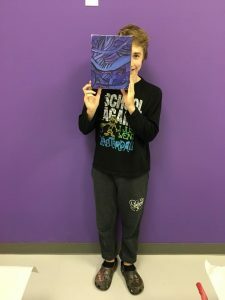 His grade 7 teacher identified that he had a solid understanding of the grade 7 math concepts class and gave him a book with grade 8 math work in it. It was great that she identified he was ahead! However, him doing these worksheets meant that he wasn’t getting assessed in grade 8 math and that he’d essentially have to repeat it the following year, as there would be no formal record of him doing it. By taking grade 8 math online, there will be a record of it which means he will not have to repeat it in grade 8. When he enters into his grade 8 year, next school year, he can choose to take another course option. If he is successful in taking and completing a grade 8 online course, he may just continue to take math this way. At this point, it’s great to give him choices as to how to support his learning. When Marley asked what he was supposed to do when he was finished his worksheets, he was highlighting that he was bored as he was instructed to just sit there. In kindergarten and preschool, he had the freedom to complete a task and then go to a center. There was freedom built into his education, as well as choice. Plus, he wasn’t supposed to just sit at a desk for the majority of the day! Until he articulated it, I really hadn’t realized the great shift that happens between kindergarten and grade one. Hmm…. maybe I’ll put some centres in my office! Sought after places to work, like Google, are said to offer a lot of different atmospheres for workers, beyond what we traditionally think is the regular office of just desks and chairs. Considering the nature of the employees Google attracts and the success they have, perhaps both Marley and Google are on to something? What Does A Kid Do When They Are Bored? Mar was not only ahead in math, but also in reading. As mentioned, when this happens, kids often get bored. Boredom can lead to kids to getting in trouble or getting turned off from learning. We had two ways this was resolved with Marley: one was healthy, and the other wasn’t. Marley LOVES to read, so we’d always ensure that he had extra books on him. His grade school librarian knew him quite well and always was on top of making sure he had engaging books. This was the healthy option. It meant that when he finished his work, he could choose to sit at his desk and read, or, he had permission to go to the library and read there. This also built some freedom into his day! The unhealthy way, which wasn’t a conscious choice on my part, was that Marley missed a lot of school. Marley’s Dad and I were separated when Marley was in grade one. Marley’s Dad and I had a difference of opinion on the important of school attendance. This meant that Marley didn’t have to attend school on a regular basis on his Dad’s time. This was a saving grace in one aspect, as Mar couldn’t get too bored as he had work to catch up on. Luckily, he didn’t fall behind as his “catching up” took less time than average for someone to complete the work if they got it on time. I wouldn’t promote this as a solution though! Second excellent point: Mar needed movement in his learning! When Marley suggested that he missed the movement aspect of kindergarten, he was identifying two important factors. One factor being that there are kids that need movement in order to learn – they are called Kinesthetic Learners. 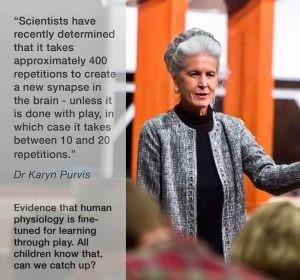 Kinesthetic Learners brains light up so that they are absorbing and retaining the information as it is taught. Movement can be anything that physically gives the body permission to move. It can also mean that they learn from doing what is being taught. Hands-on learning is when you are taught by watching and then, doing. A cooking class is an excellent example of this. My eldest, River, is a kinesthetic learner as well. This meant for him he had a physical education (PE) every semester in high school, as opposed to only taking the one that you are supposed to take for your specific grade level. Plus, as you get into older grades, you can take a different course, but have PE attached to it. For example, Riv took a course called peer tutoring. Peer tutoring course assigns you to a specific class that you are tutoring. Riv took the peer tutoring course and was assigned to the PE classroom. Therefore, he “tutored” in physical education! If your child has an interest and they have exhausted all the courses offered in that stream, have them take a course like peer tutoring! Play and Learning Can Go Hand in Hand! The second important factor Marley highlights when he suggested that he missed the movement aspect of kindergarten was that it’s important to have play. His kindergarten teacher taught them more advanced math. They did counting and sorting, all regular kindergarten math things. However, as they were so engaged and passionate about their learning, they wanted MORE. So, their teacher was able to incorporate higher level concepts such as calculating speed – all by using their beyblades! A key aspect here is that this was the only year of Marley’s education that he was interested and passionate about going to school every single day! At Tutoring… With A Twist, finding out how someone best learns is key to the tutoring plan we make for them. We’d be happy to walk you through what this can mean for your child as kinesthetic learning is just one of four different styles that we focus on. Learn more about the different styles here. 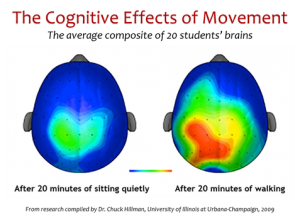 How do we incorporate movement into learning? Here is a quick look into the brain of someone who is a kinesthetic learner. As was shared in Part 1 of this Blog Series, since 2013 in British Columbia, a student can be cross-enrolled at any grade. Prior to 2008, cross-enrollment was only allowed from grades 10 and up. The challenge to this is that a school wants to get the full funding for a student, so not all schools are open to the idea of sharing a student. When I stated above that Marley is taking grade 8 math online while being in grade 7, I’ll go into more detail. Marley is enrolled in grade 7 at the elementary school that is in our catchment area in our school district (SD). Our school district is SD 68. Marley is enrolled in the grade 8 math online through SD 71. SD 71 is geographically three districts from where we live. Why is this? Our local school district wasn’t going to get the funding for Marley so they wouldn’t enrol him. They were “full”, unless he enrolled only with their alternative program, even though they are in the same school district as his bricks and mortar school. As a parent, you need to know all of your options and decide when it’s right for you to fight for them. I don’t take on every school challenge. I choose my battles carefully. When our local school district refused to take Marley, I reached out to school district 71 as they are known for their online programs. 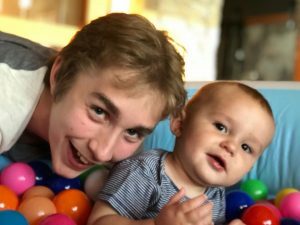 They are technically not getting paid for Marley either, but as they wanted Marley to have the option to take grade 8 math, they agreed to enrol him. I knew SD 71 was more flexible because Marley had previously been enrolled with them. Since the law changed that cross-enrollment was an option, Marley started taking one day a week as a homeschooling day. On this day, he would explore more in-depth topics he was really interested in. This was a compromise, as he had asked to be fully homeschooled, but my work didn’t allow for that as full homeschooling really does require a parent to be fully present. While I had the teaching part down, I didn’t have the time to give him to do his schooling justice. In Marley’s grade 6 year, I was able to offer him an opportunity to choose homeschooling full time. Marley chose to do be fully enrolled in this homeschooling program this for the second half of grade six. We made an agreement as to what the homeschooling program would have to offer in order for it to be considered and researched our options. We chose to go with SD 71. We found that SD 71 offered a satellite program in our school district (SD 68) in which Marley could attend school two days a week, and then his teacher would have office hours within walking distance from our house the other three days of the week. 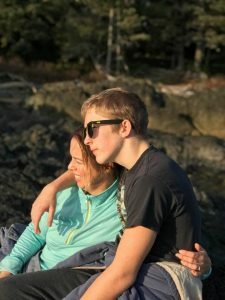 This met our needs because one of our agreements was that I didn’t want to be his full-time teacher while he was homeschooling, as I still needed to run my business. As well, with having two in class days, Marley would still have a social outlet. This program also had an online component for his core subjects. This also met our agreement of the homeschooling program needing to have pre-designed curriculum. Again, I had the credentials to create curriculum but not the time to do so. Take the time to figure out what will work best for your family and research your options carefully! We asked our local elementary school, where Marley had been enrolled since grade 2, if he could still do PE with them, as well as other school sports teams. They told us this was not an option. This was disappointing because Marley really enjoyed this aspect of school. However, we made an agreement with one of our local recreational facilities so that Marley could attend it regularly. Fortunately, it was within biking distance so Marley would take his bike and go often! Towards the end of grade 6, Marley told me he wanted to consider going back to bricks and mortar school. When I asked him his reasoning, he suggested that bricks and mortar school was a lot easier than homeschooling as there was less actual work to be done. Interesting to hear this from him! We were happy for this experience because it gave Marley a taste of the responsibilities that come with online schooling. One has to be quite independent, disciplined and organized to stay on task and complete their work when working on an online platform. Now, the world will be his oyster, as he was able to successfully master the responsibility of online programs so there will be no limit as to what he can choose to take schooling wise. Marley will most likely follow in his older brother’s footsteps of taking Independent Directed Study (IDS) course. What is an IDS course? Under teacher supervision, students can earn additional Independent Directed Study (IDS) credits by pursuing curriculum in more detail of a high school course that they’re not currently taking. 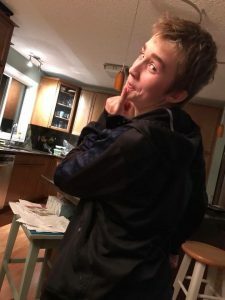 As mentioned in Part 1 of this Series, my eldest son, River, was passionate about podcasting and website building. At his high school, neither course was offered, so he took these courses online. To participate in this method of learning, students must demonstrate the ability to work independently. As the student is not attending class every day, they need to be responsible for completing the tasks that prove they understand the curriculum. What Path Will Marley Take? It will be interesting to see the path that Marley chooses with all the choices that exist! At this point, he is talking about incorporating his love for movement and animals into becoming a wildlife photography. For photography, it will be interesting to see whether he chooses to take all the courses his high school offers to support this and/or whether he will take some IDC. He’s also expressed an interest in band! This too would incorporate movement and hands-on learning and who knows where it might lead?! I’ll keep you posted as course selection is next month! He likes art and in his first art class ever the instructor asked me to stay behind to tell me about Marley’s natural talent in art. His jobs to date have been babysitting and dog walking. Perhaps a future in either of those? Or, maybe as an entrepreneur?! Stay tuned because we will follow his progress, along with River’s and Geneviève’s! I’d like to tell my Twisted Tutor not to change. She was great – thorough, friendly, helpful. I would recommend her to all my friends.